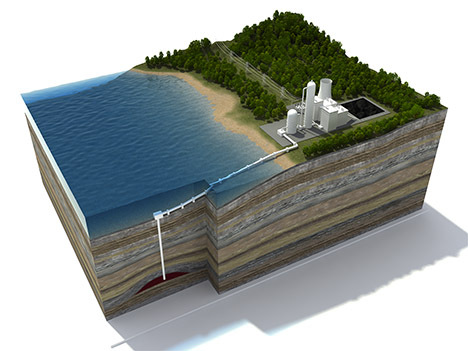 Carbon capture and storage (CCS), a catch-all term for technology that captures carbon emissions from industrial plants and buries them undergrounds, is controversial for a number of reasons. It’s expensive, unproven, and according to researchers at Duke University, there’s the troubling possibility that captured carbon could leak into groundwater aquifers, potentially rendering water undrinkable. 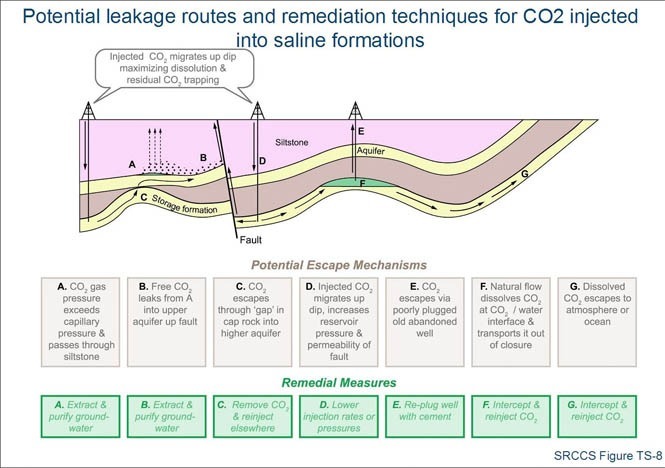 The New York Times reports that Duke University researchers gathered samples of dry sediments from groundwater aquifers near potential CCS sites in Maryland, Virginia, Texas and Illinois and exposed the sediments to water solutions infused with large concentrations of CO2. The result: the “groundwater” showed increased acidity, and concentrations of iron, cadmium, cobalt zinc, and other metals increased by over 1,000 percent–in some cases, exceeding safe drinking water standards. storage sites. Like I said: the future of “clean” coal is murky. Clean coal’s future may be murky, but coal-powered plants aren’t going anywhere. Neither is clean coal– the U.S. Department of Energy’s infamous FutureGen clean coal project is on track to be built in Meredosia, Illinois. Let’s hope that FutureGen carefully monitors groundwater, lest the project poison both local residents and CCS’s reputation.